We've made it to the Top 25 of 2013! I started this list at the beginning of this year. I've been working on this since January! I typically do a Top 20, but this year was spectacular in nail polish, so I had to lengthen my list to 25. My Top 25 of 2013 will be divided into 5 posts, with each post having 5 polishes in them. This list is not in ranking order. There is no way I could choose a favorite among these! 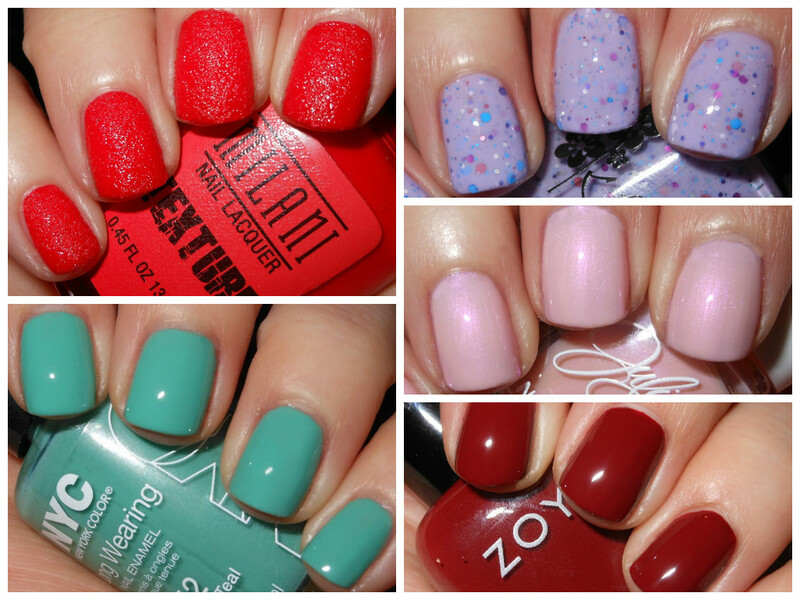 This Top 25 list contains only polishes released in 2013. I have also linked each polish to my original review of it on my blog. Stay tuned for Part 2 tomorrow! These are all perfect on you Stephanie!!! I'm so glad to finally have Iris My Case. I think I need that Julie G in my life too! Zoya is my fave! This color is so gorgeous and christmasy! I love this Zoya!!! going on my wish list! The Julie G looks very lovely! It is such a great red, and surprisingly hard to find a dupe of! Great pics! I especially like the Milani and KB Shimmer. Iris My Case...holy moley that is gorgeous!! KBShimmer WIll Yule Marry Me? Hobby Polish Bloggers Winter Giveaway!